I wish I had posted this a little earlier only because I feel like as soon as it hit September my favorites had changed so fast. Every month is different because my skin is always changing, but for the month of August my makeup was very minimal since I didn't go to that many places. Skincare was my number one priority in August because it was the month before going back to school which was why I needed to take good care of my skin. Also I keep trying to film my favorites video but they never turn out right. I really want my first (second really) video to be perfect so I'm going to have to figure out more about my camera before I can post and upload something. 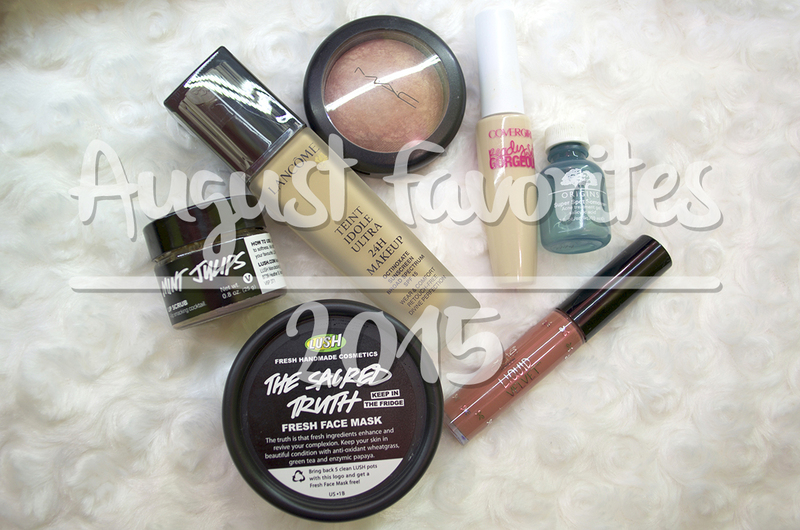 But lets get to my August favorites now. 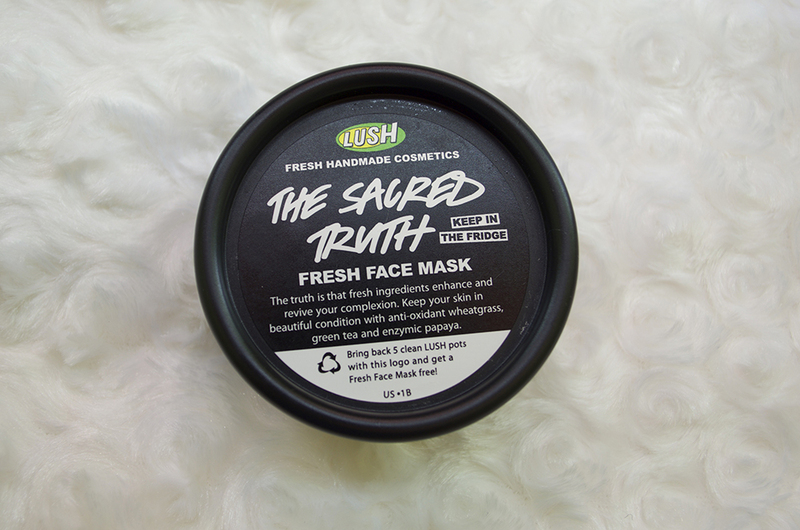 So I went to Lush and almost all of the masks were sold out, they only had this The Sacred Truth mask left so I bought it not even knowing what it was meant for. When I went home I felt like pampering myself so I put this mask on and left it on for 10 minutes, after washing it off, my face felt so smooth! I was reading on the website that it is for dry or mature skin. My skin is extremely oily but it has days where it is dry as well but I feel like this mask is good for either skin types. It doesn't strip you of any oils or make you feel oily which is something that is so hard to find in a mask. The next product that has been helping me a lot is this Lush lip scrub. This was actually the first Lush product I ever purchased many years ago but I always repurchase it whenever I run out of it. My lips have been really dry so most days before applying my lip balm and lipstick I would exfoliate my lips with this Mint Julips lip scrub. This keeps my lips soft and not as flaky, this would be good for those who like matte lip products because if you're using a liquid lipstick and the skin on your lips is flaking, it wouldn't look its best. 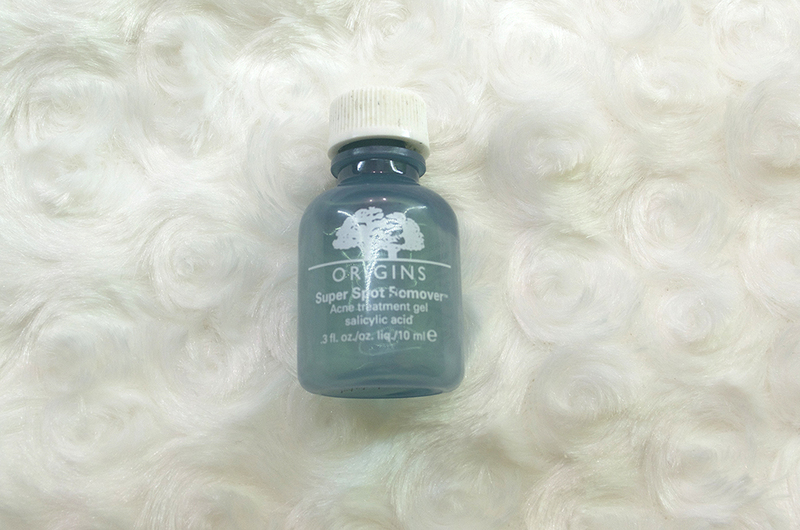 I've had this Origins Super Spot Remover for a while but I wanted to use up all the product because I've been trying to finish up products lately so nothing goes to waste. But I will say that when I first bought this months ago I was obsessed with it, then I purchased the Kate Somerville EradiKate spot treatment that I mentioned in a sephora haul post, and became obsessed with that. Recently I realized that I forgot all about this product so I started to use it again and found that it really did help clear up those annoying little pimples that appeared here and there. The only thing I dislike is the packaging because it's extremely hard getting the product out once there's a little bit left. This has been a holy grail foundation of mine for a while because it always adapts to my current skin situation. For example, in the winter it adapts with my somewhat dry skin but in the summer it also adapts to my extremely oily skin. It never makes me look "too matte" or "too greasy" which I like. I'm usually all for that matte look but recently I've discovered that the natural dewy look does look great on me on those days where it isn't extremely hot out. But this foundation is great for days I want to look like I'm not wearing a ton of makeup on my face. 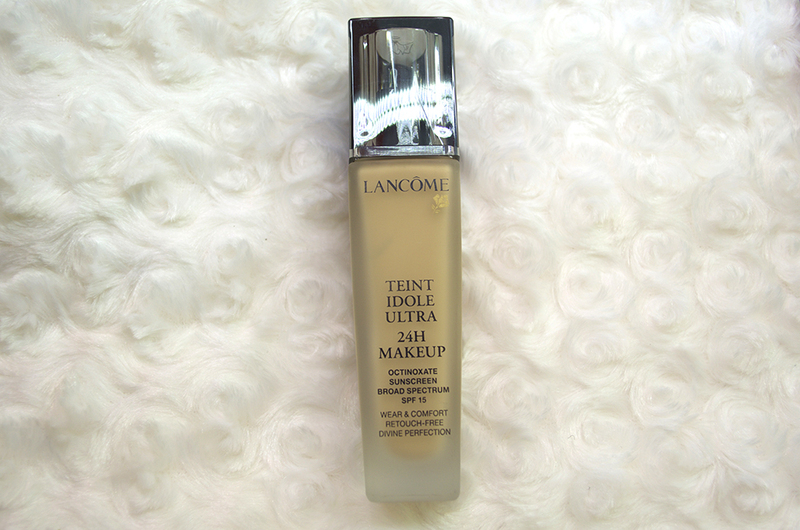 This Lancome teint idole ultra 24H foundation will forever be a favorite of mine. CoverGirl never seems to let me down, when I first started wearing makeup they were the first brand I owned because it was affordable and great for my sensitive skin. I really wanted to buy the NARS concealer or the Urban Decay but I couldn't find myself spending that much money for a concealer. I've repurchased this so many times but lately I've been using this either with a full face of makeup or just by itself. 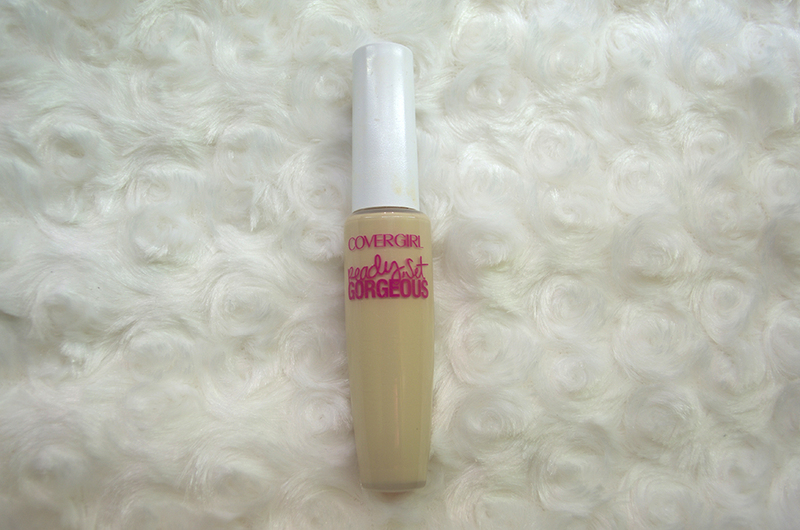 Please do yourself a favor and check out this CoverGirl Ready Set Gorgeous Concealer you won't regret it at all. 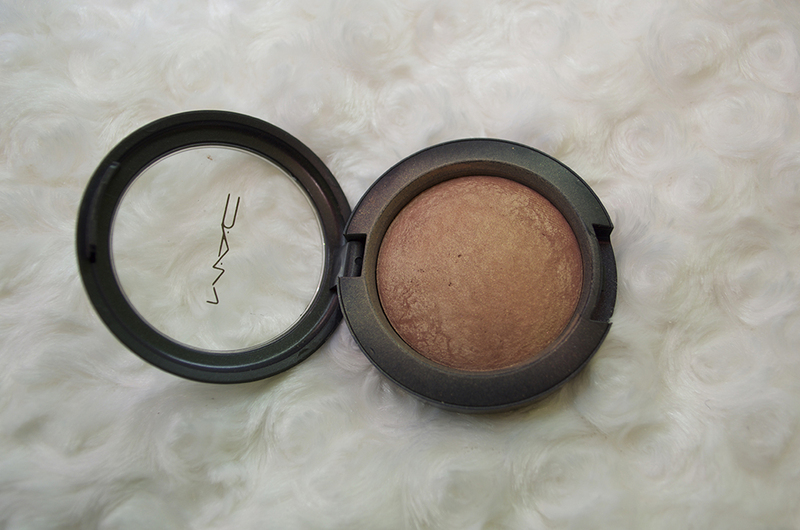 This summer has been all about that glow for me and I've been gravitating towards this MAC Mineralize Blush in Warm Soul so much because I feel like it could be used for everything. It's not matte and gives off that glowy look. It's a versatile product that could be used as a blush or bronzer depending on your skintone. When I wear this sometimes I don't even need a highlighter because I feel like this gives me a dewy look. It's hard for me to explain how much I love it, but read my blog post about my Top 5 blushes because I did tell stories on why this will forever be a favorite of mine. The entire summer I've been addicted to liquid lipsticks and I feel like that will forever be the case. Liquid lipsticks are something that has changed the makeup game for me. Trust me, I love lipsticks, I have way too many but liquid lipsticks are something that changes the way I wear makeup. So I feel like I'm the type of person whose always licking their lips or always eating some snacks. I hate when I have to reapply my lipstick because I feel awkward having people see me applying it. I'm weird like that, but with liquid lipsticks I could go through breakfast, lunch and a snack before having to reapply. 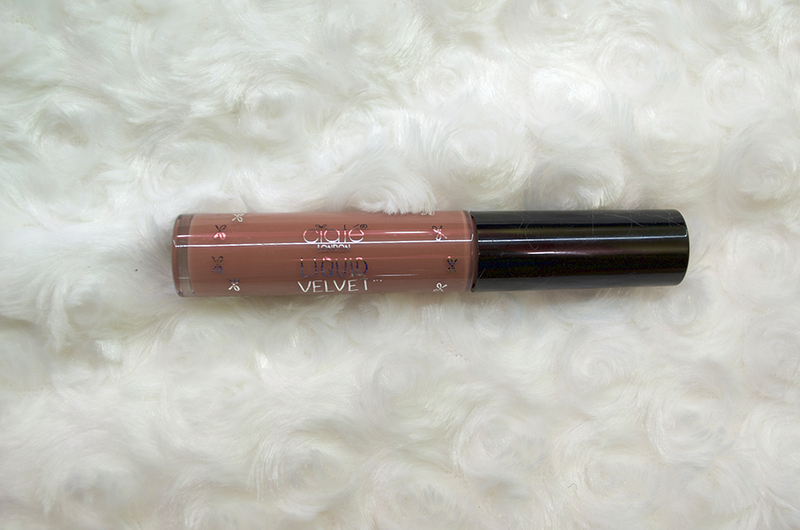 This Ciate Liquid Velvet Matte Lip Slick in the shade swoon has been a product I've been using every single day. What are your favorites for August? 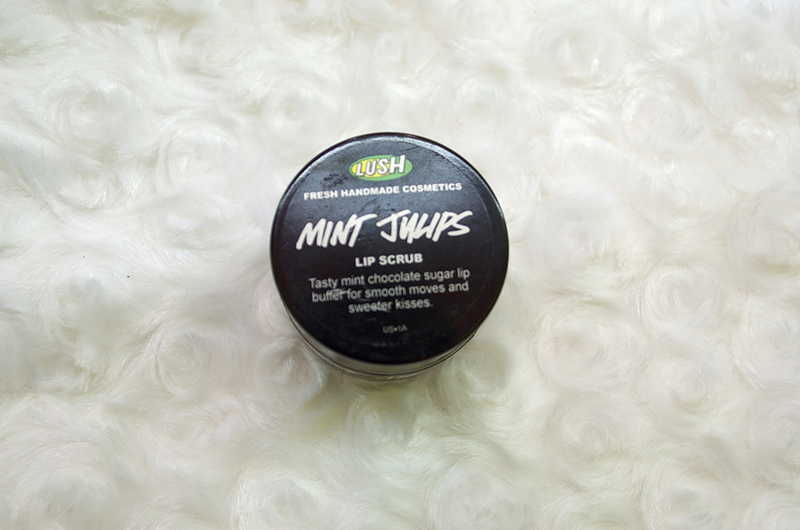 With the Lush lip scrub, i need to try! Looks like it works wonders.Origins always has the best stuff.